Pure Body Salon was established in 1983 as a full service salon. In 2007, we opened as Pure Body Salon & Spa, Charlotte’s premier Salon quietly nested in a beautiful 1940 renovated home located on the border of Charlotte's Historic Wesley Heights Community west of Uptown Charlotte. Our dedicated team will customize individualized hair solutions to meet your hair care needs utilizing professional products such as; Phyto, and the Phyto Specific all botanical Relaxer to name a few. We specialize in Relaxers, Haircuts and Hair Coloring and Natural Hair (Silk Press). We believe everyone should have beautiful and healthy hair. We aim to provide a Pure Body Experience, with 100% guest satisfaction and deliver optimal results. Pure Body your place of Passion & Experience, Since 1983. 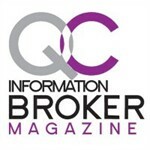 QC Information Broker Magazine 2011 SALON and SPA of the YEAR! Winner of 2009 Best of Business Award in the Salon & Day Spa category.